In the foyer is a full sized statue of Kupe, his wife and his tohunga. Kupe named an area along the beach after his marae in Tahiti, Taputapuatea. 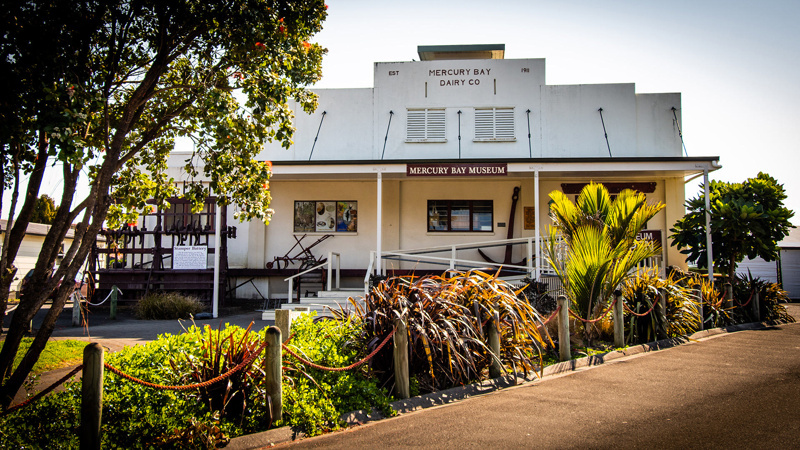 The family room houses photos of settler families who have been here for over one hundred years, and aerial photos showing the development of the township of Whitianga and the wider Mercury Bay area. 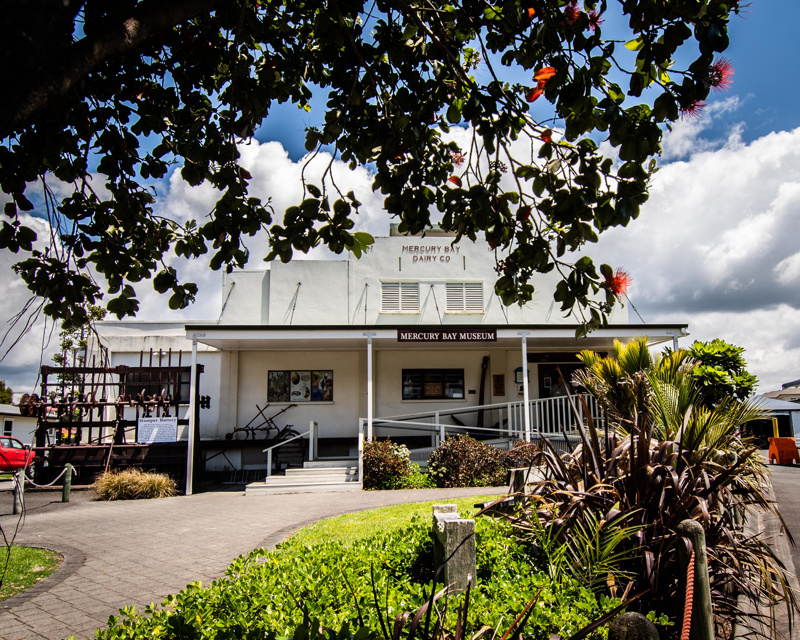 Down the ramp into the Museum is a display of artifacts, then onto the history of the tangata whenua. There is an exhibition of the wreck of HMS Buffalo, (1840) and a Coastal Port exhibition. Further into the Museum is the agricultural exhibition, including the butter churn standing in the same spot as it did when the building was a butter factory. 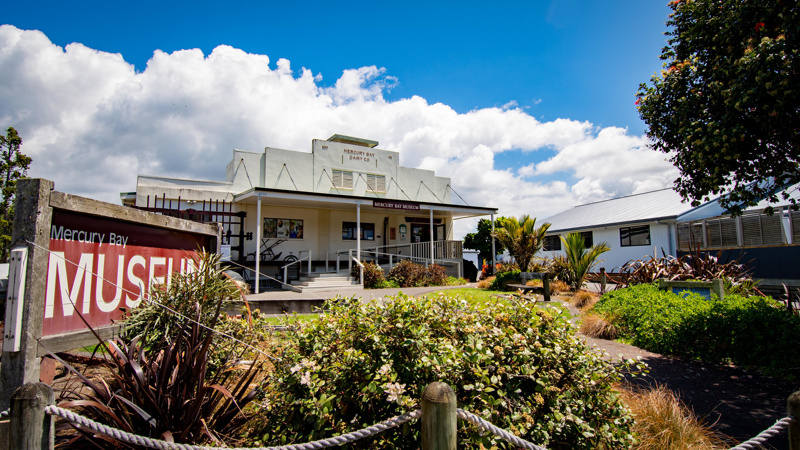 There is a 1953 school room, a nature display of birds of this area, a blacksmith shop and the very popular Kauri Room. 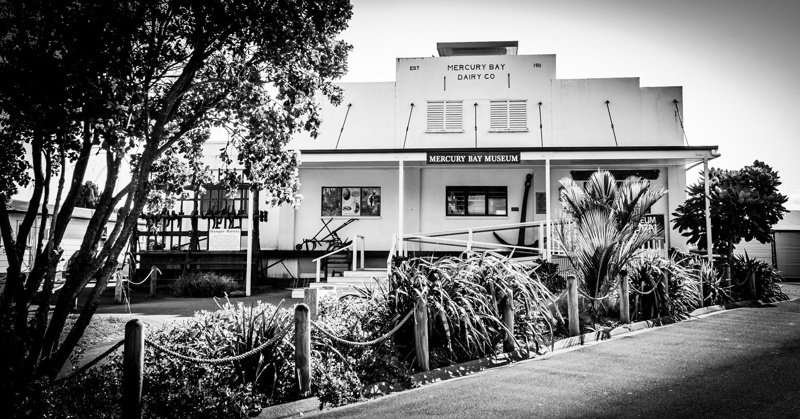 Right across the wharf and the ferry service, our Museum stands on an historic site, as before the dairy factory was built it was the site of the Kauri Timber Company Mill. Prior to that, the site was an urupa; the two crew members who lost their lives in the HMS Buffalo were buried there.